We caught up with Sue, a Turn2us and Citizens Advice trainer based in Essex, to find out what she enjoys about her line of work. How long have you been with Turn2us and what do you most enjoy about your work? I’ve been a trainer for six years. I’m passionate about what Turn2us can offer and enjoy sharing how to find and use the vast amount of clearly explained relevant information and help. 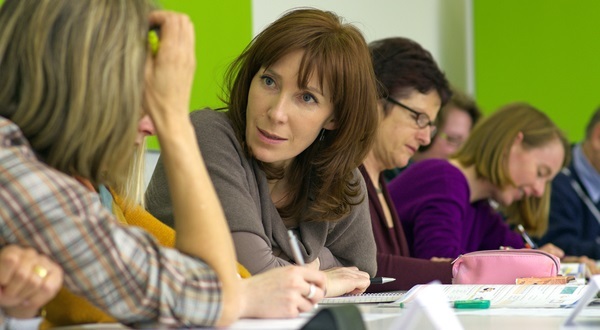 Participants come to the workshops from a range of backgrounds and previous experience. I really enjoy the challenge of making sure that everyone gets the most from the workshop for their particular situation. What value do Turn2us' workshops bring to frontline workers? Participants never cease to be surprised at what the Turn2us website can offer, in terms of searching for information and contacts. It gives them an enormous amount of confidence in referring clients to Turn2us and in their ability to help those they may work with face to face. Why is it such an important time for charities to work together? Increasingly limited funding streams and resources mean that sharing expertise is becoming more and more valuable, in order to signpost, support and help the growing number of people struggling financially. What do you do outside of Turn2us? I freelance tutor for Citizens Advice and volunteer as often as I can at my local centre as an adviser. I also helped set up the charity Action on Postpartum Psychosis in 2011 and I was its treasurer until earlier this year. Martin, an ex-colleague of mine at Citizens Advice. He was in charge of the welfare benefits department, particularly supporting those challenging benefit decisions. His knowledge of benefits was second to none; he never tired of explaining the complicated rules; and clients always came first. Find out more about Turn2us workshops.